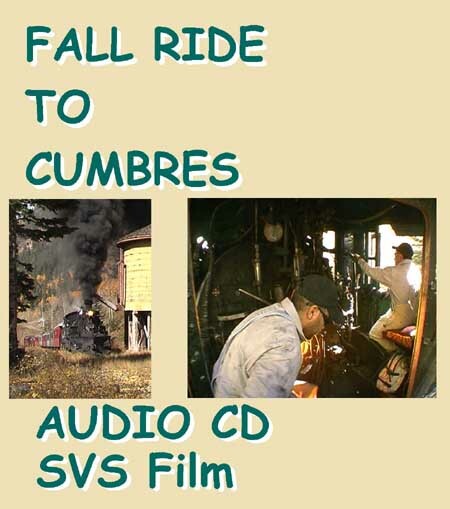 This 76 minute audio CD includes 59 minutes of uninterrupted sounds recorded in the CAB of locomotive #488, a 3 foot gauge 2-8-2 of the Cumbres and Toltec Scenic Railroad, during its climb from Chama towards Cumbres on the 4% grade along the New Mexico/Colorado border. 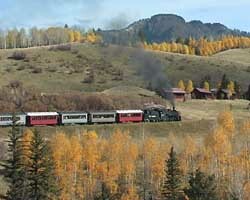 Other tracks feature lineside recordings of the same train at locations such as The Narrows, Lobo Lodge, Cresco and Cumbres. 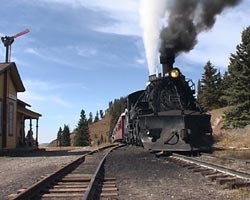 The CD concludes with almost 5 minutes of lineside recording of locomotive #484 westbound rounding Tanglefoot Curve just below Cumbres. 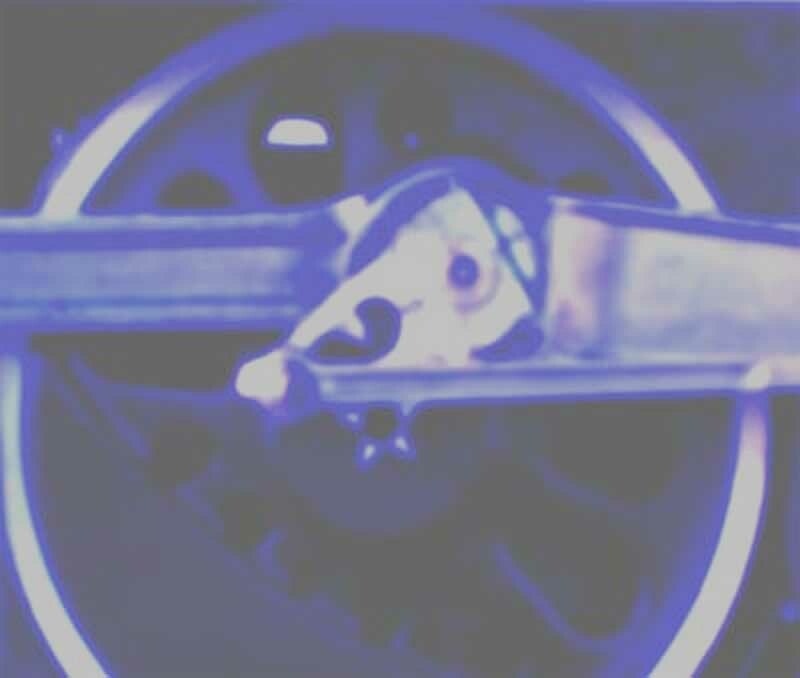 Format: Audio CD - total running time 1 hour 16 minutes. 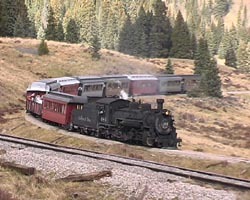 488 approaching The Narrows, the grade increases to 4%. 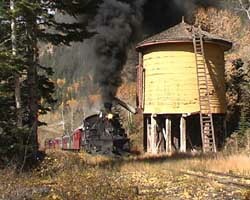 488 nears Lobo Lodge and slips. 488 blasts through Cresco and slips. 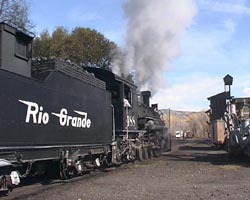 488 approaches Cumbres, comes to a stand and then restarts train towards Antonito. 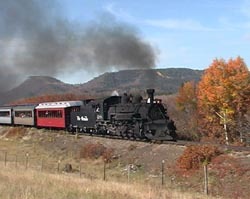 484 approaches Tanglefoot Curve westbound, passes left to right on lower side of loop, rounds curve on right and then passes from right to left on upper (closer) side of loop before passing the east switch of Cumbres siding. Please note that now you don't need a Paypal account to pay with your credit card. Check payments (for US$17.00 per CD) from customers in the United States CAN now be accepted. We can now accept checks in US Dollars drawn on banks in the United States. They MUST be made payable to JOHN MCIVOR (and NOT to SVS Film). Please remember to include your full postal address and ZIP code with your check, and the name of the product you are ordering. Mail your check and order to: SVS Film, 74a Firgrove Hill, Farnham, Surrey, GU9 8LW, England. SVS Film, 74a Firgrove Hill, Farnham, Surrey, GU9 8LW, England.